Click the image for the current newsletter or select Previous Newsletters to see our archive. 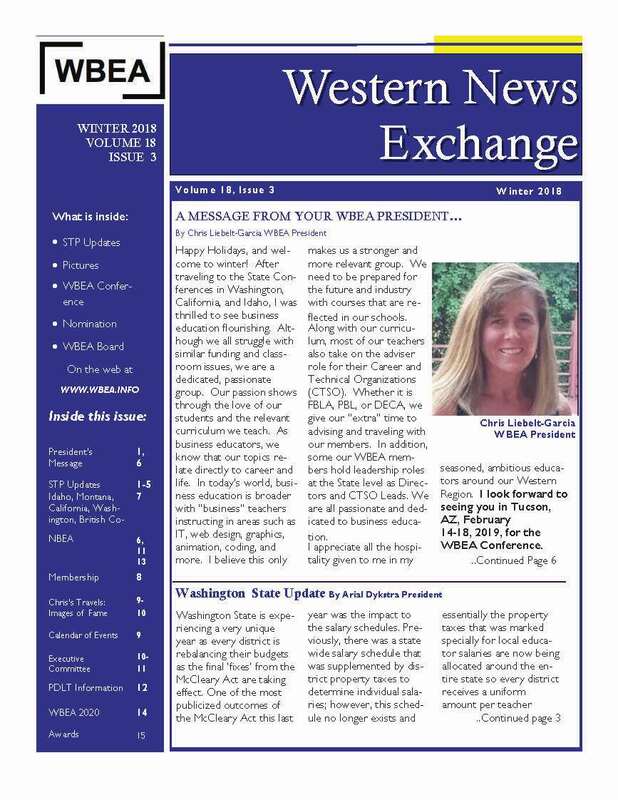 ﻿"Friend of WBEA” contributions are welcome from any instructor, company, or organization in the WBEA region to strengthen and support the Western Business Education Association. To become a member of Western Business Education Association, use the "Membership Form" button below. Please also visit the National Business Education Association for more membership information. By joining NBEA, you also become a member of WBEA.